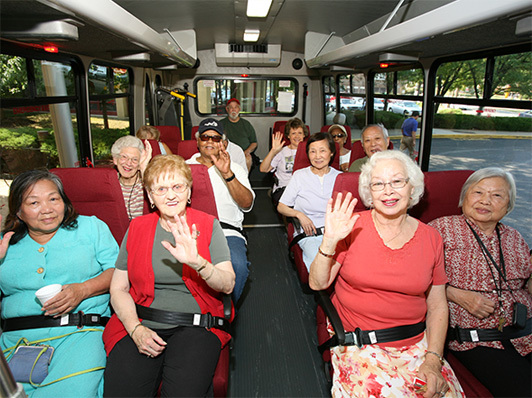 With the availability of a fully accessible passenger bus and professional driver, Crown Center is always on the go. Whether it is to the grocery store, pharmacy, international foods market, shopping mall, concert, or museum, our bus provides group transportation to essential services and cultural and community events for a nominal fee. Download our latest Menu & Event Calendar for the current schedule of trips.